For anyone who knows me personally, you know about the oatmeal chocolate chip cookies. If I ever have a bakery, I think these will be the star of the show. 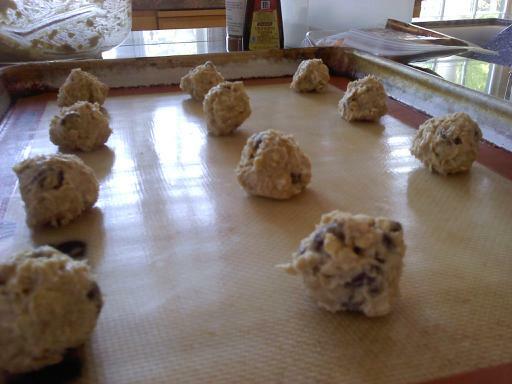 By the time I finish baking all the dough, half of the cookies are already gone. I have to swat people away with spatulas, and when someone does get a hold of a freshly baked cookie, they burn their mouths on the molten hot cookie. But it doesn’t seem to matter to them, because they keep doing it. Today is your lucky day, my friends. I am about to bestow this recipe upon your humble minds. Prepare yourself.